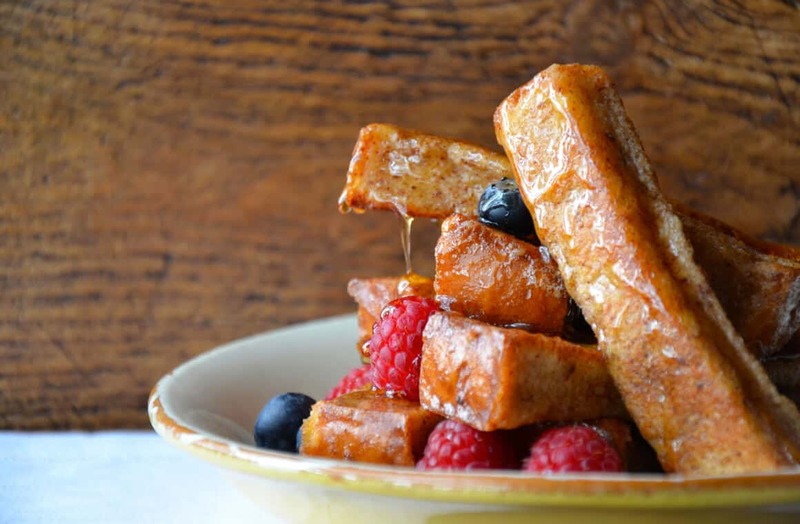 Welcome to our latest installment of our weekly Meal Plan series! 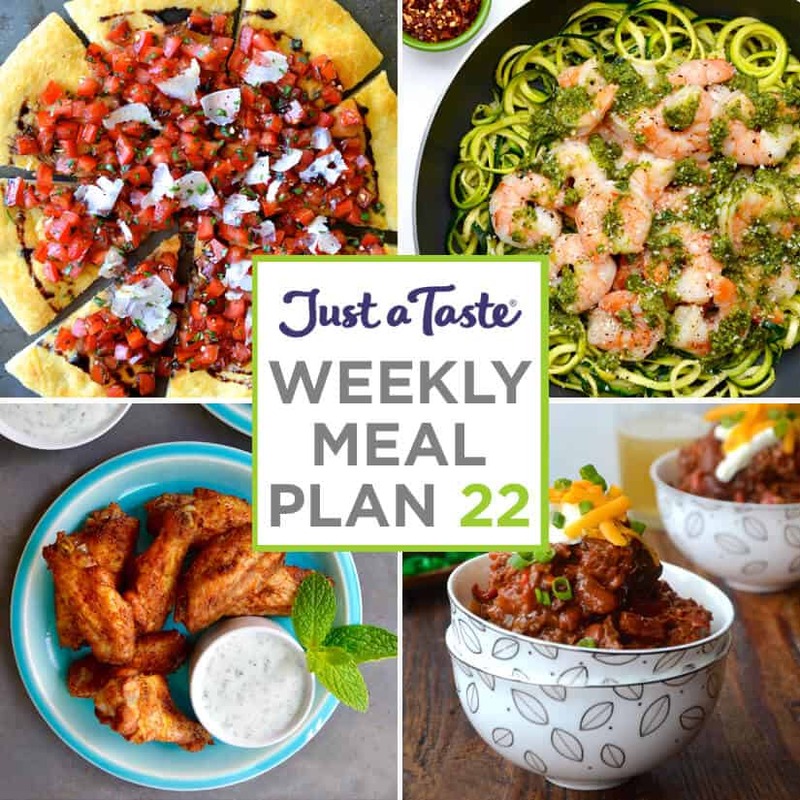 This week features quick and crispy Moroccan chicken wings, easy and healthy zucchini noodles with shrimp, crowd-friendly chili con carne, and the ultimate light and flavorful pizza recipe. 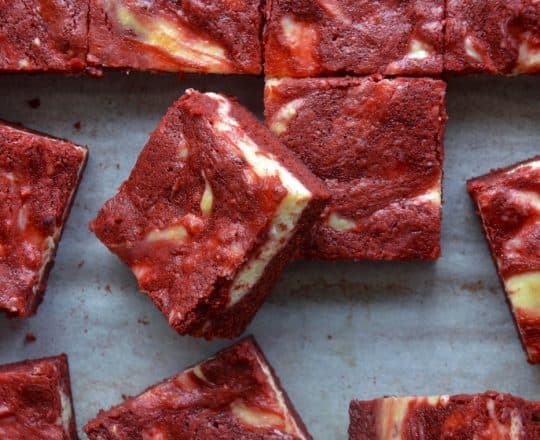 Plus, up your dessert game with an easy recipe for red velvet cheesecake brownies! 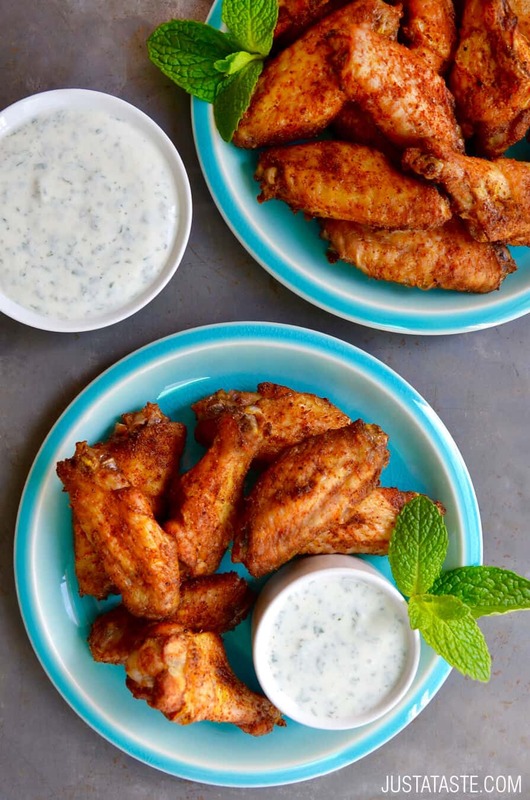 Bake your way to healthy, crispy perfection with Moroccan chicken wings paired with refreshing yogurt dip for the ultimate kickoff to your week. 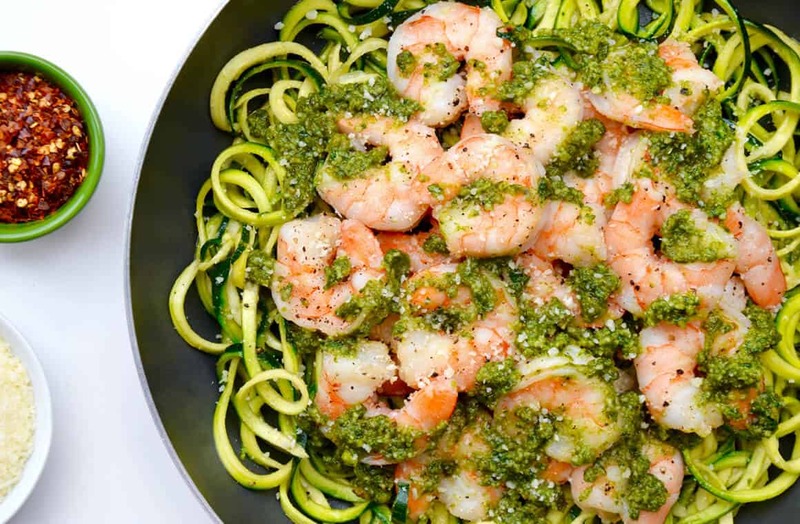 Swap spaghetti for zoodles with this quick and easy recipe for pesto zucchini noodles with shrimp. No spiralizer? No problem! Check out three simple ways to make zucchini noodles without a spiralizer. 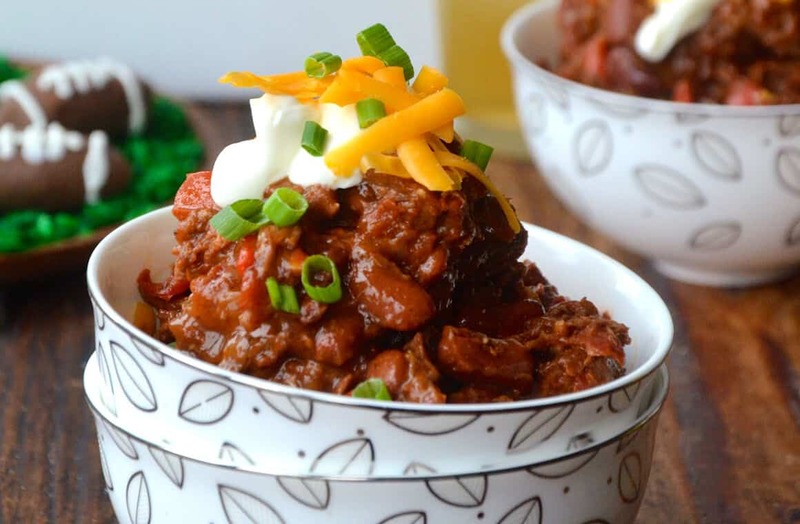 Up your chili game with big-flavored chipotle chili con carne starring more beef, less beans, and it’s topped with bacon! Serve this hearty main dish with savory bacon-cheddar biscuits for the perfect crowd-friendly meal. 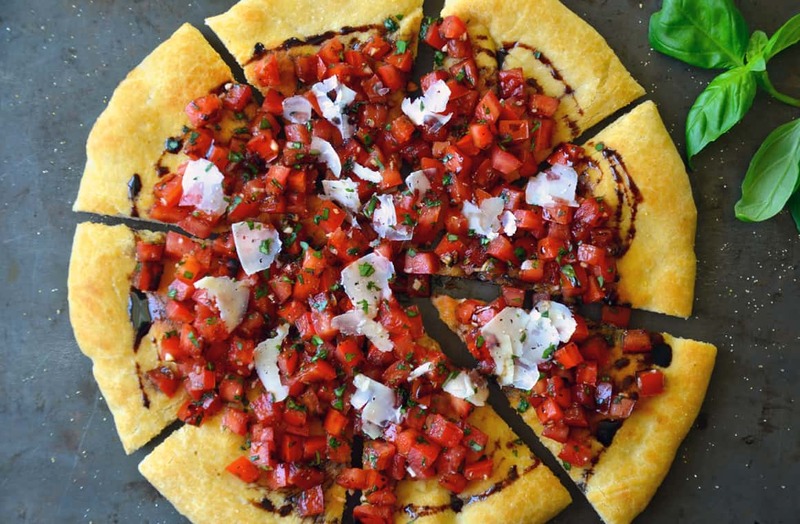 Ditch the delivery with bruschetta pizza drizzled with balsamic syrup, then ring in the weekend with a batch of cheesecake brownie bites. Three dessert favorites join forces to add a pop of color and flavor to your dessert recipe repertoire with red velvet cheesecake brownies.